Hope you are all enjoying the 20! We want to get a good idea of how having your bus back has affected your life and the lives of your community members. Please take a moment to fill out this survey and share it with your neighbors! Bus service returns to Groveton! After being stuck in a transit desert for years, residents are ready to ride! 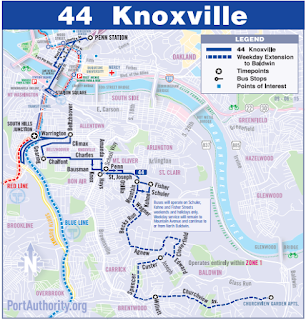 On Wed Sept 9th, join Baldwin and Groveton community members, along with Pittsburghers for Public Transit, as we ride the 44 Knoxville and 20 Kennedy to town. If you live in Baldwin, we’re taking the 7:25 am bus from Churchview Garden Apts (3783 Churchview Ave ext). If you live in Groveton, we’re taking the 7:30 am bus from Village Dr.
We’ll hear from community members who worked hard to get their transit service back! 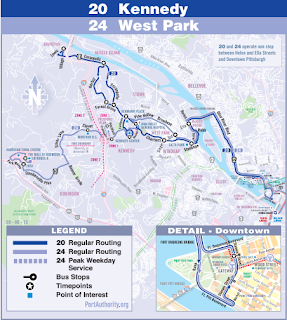 We’ll also hear about continued campaigns for adequate and affordable transit service in Allegheny county. 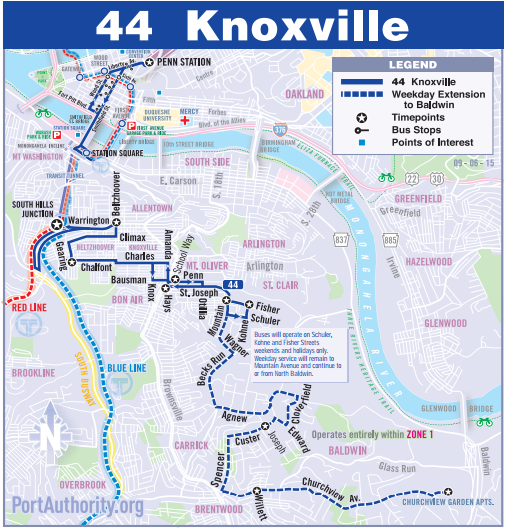 A link to the 44 Knoxville route and schedule is here. A link to the 20 Kennedy route and schedule is here. Since September of 2014, Groveton and Moon residents, bus drivers, and transit supporters have worked together to make the case for bus service in these transit deserts. And now Port Authority bus service is coming back to Groveton! The 20 Kennedy route has been extended to the community on weekdays and the service will begin on September 8th. This is a huge victory for all of us who worked so hard to ensure our voices were heard! But this victory is only partial, and we must continue to work on getting service in Moon. 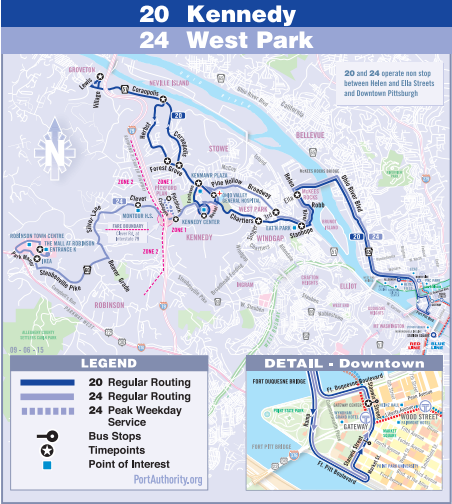 Please join the Groveton committee and Pittsburghers for Public Transit for a community meeting to learn about the bus service that will come back to the neighborhood and to discuss the next steps for the campaign.